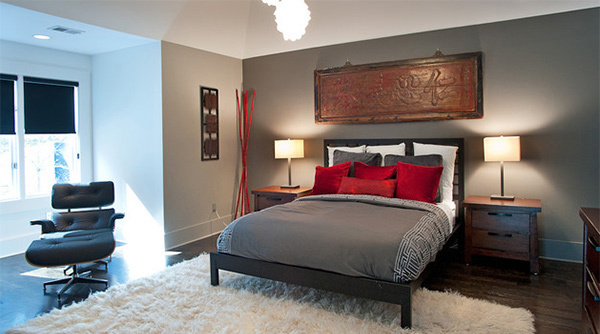 Bedroom designs come in a variety of theme depending on the preference of the owners. It would also reflect their beliefs, lifestyle and even hobbies. This is because a bedroom is a personal space which means that it would really tell us the kind of person who occupies it. 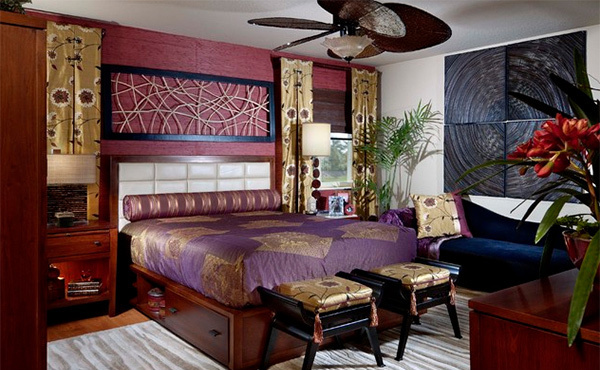 When we talk about themes, many would come to your mind but today, we will feature Asian themed masters bedroom. The red and black colors in this bedroom speaks Chinese or Japanese but whatever that is, one sure thing is that it is Asian from decors to bed covers! That wall art is no doubt Asian inspired. Even its ceiling, carpet and the warm tones fitted to this style. 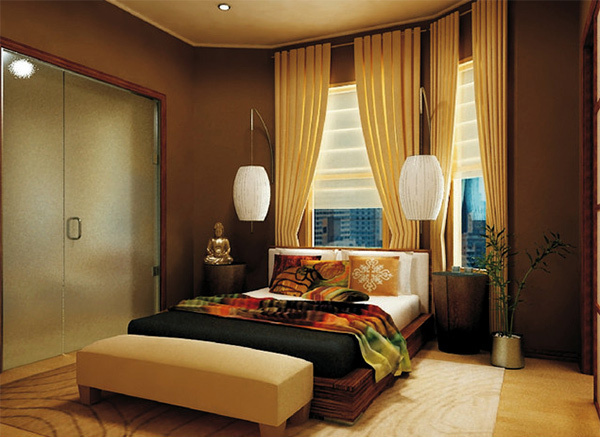 Wooden elements and the addition of some orange shades on the pillows and bench brought an Asian look to this bedroom. The shades of the windows and the doors came from natural materials. The bedside tables bear the design of woven mat from Asia. Most Japanese bedrooms have low platform beds like this one. Those floor lamps are beautiful! Our eyes were drawn to that tall wooden sculpture with a totally unique design! You’d say this bedroom is crowded with decor but it doesn’t look disturbing just totally Asian! 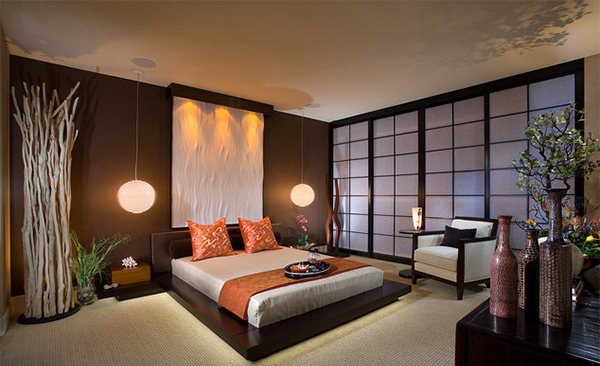 A modern bedroom with some Asian and Zen touches in its addition of bamboo like plants, headboard design and wall art. 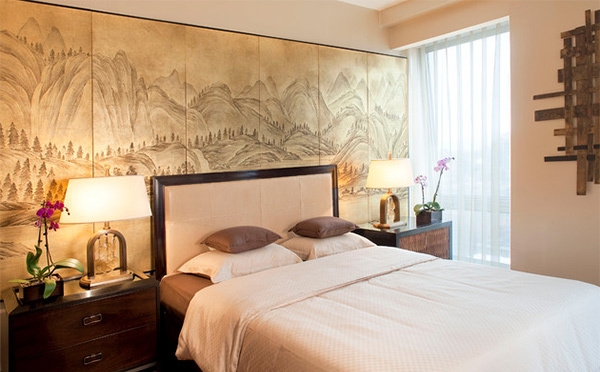 The wall art above the headboard screams Asian as well as its dresser displays and lighting. You’d seldom see a blue Asian bedroom but yes, it is possible to have one. 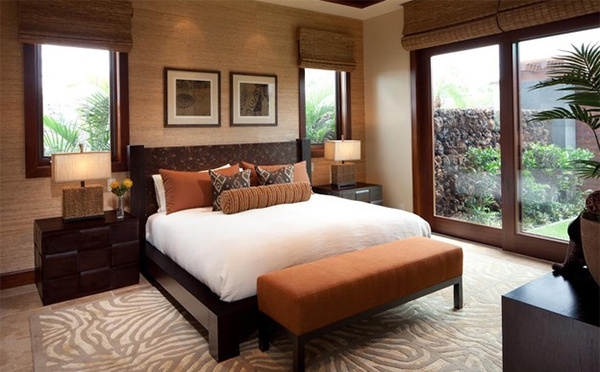 Fuse contemporary and Asian design to get a bedroom as relaxing as this! The wall art is an antique work giving this a more Asian appeal. Flowers on the wall, colors, patterns and decors- all of them may look a bit contemporary but yes, it is Asian inspired too. That Buddha on the corner, pleated curtains and lighting were elements that made this look totally Asian. Another bedroom that has an Asian wall decor on its wall. 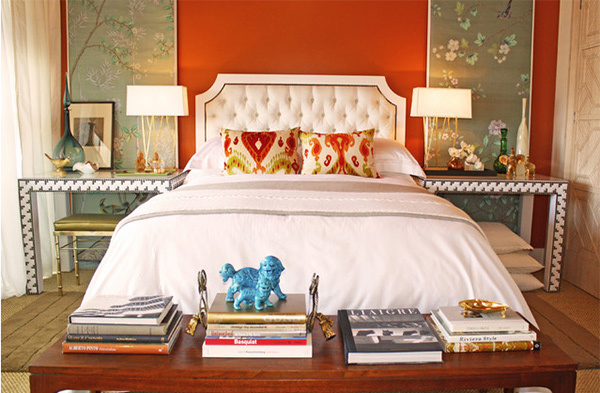 We love its twin bedroom lamps and orchids on the bedside table. 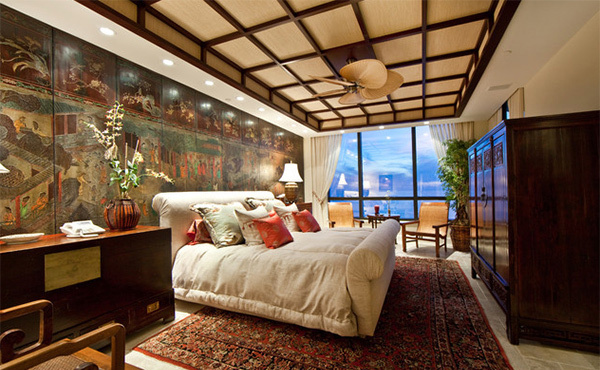 The wall arts of this master bedroom were all Asian-inspired. Even its pillows were styled to fit the theme. Asian interiors usually have wood, bamboo and Asian sculptures in it. You could easily spot an Asian home with those elements. Even the colors could be warm or would have some red or orange accents on it. You can also notice some patterns too. Want to see more Asian bedrooms? Well, we have some roundups here that feature some. Take a tour and discover more bedroom designs!